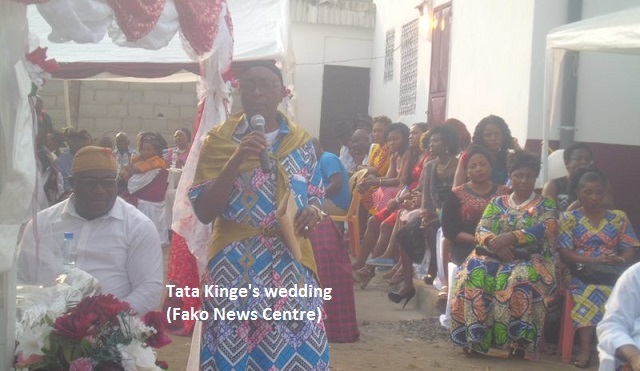 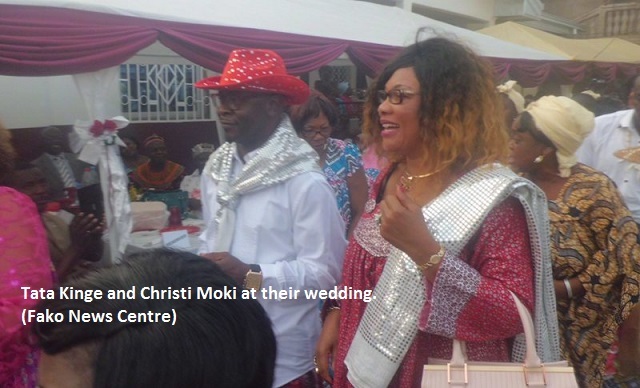 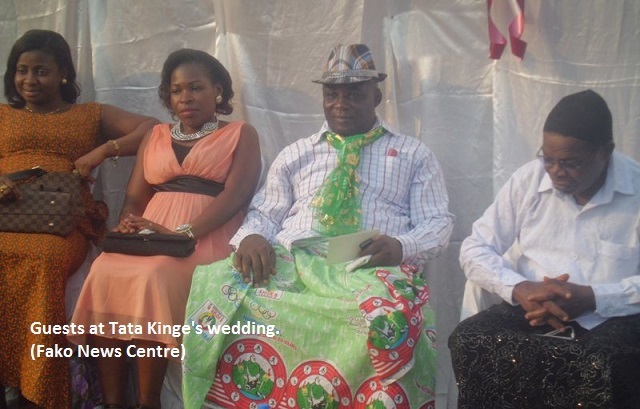 The leading and well known cultural promoter of the Fakoland, renowned Artist/Musician, Tata Kinge, on Saturday January 9, 2016 married his best friend, Iya Christiana Eposi Moky. 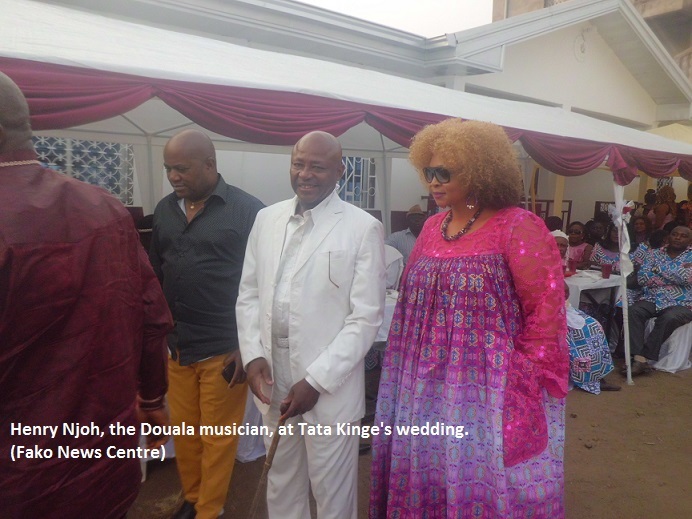 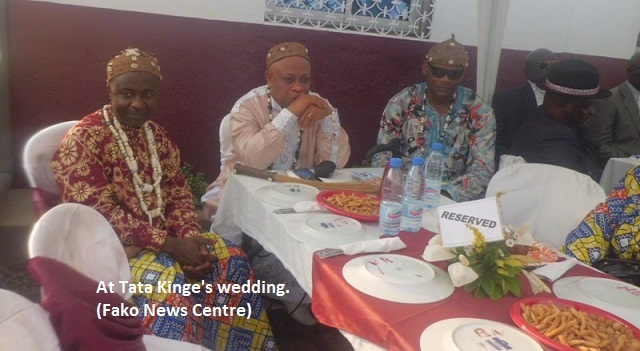 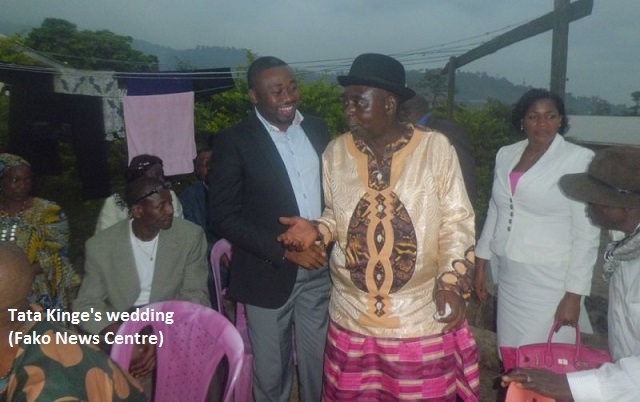 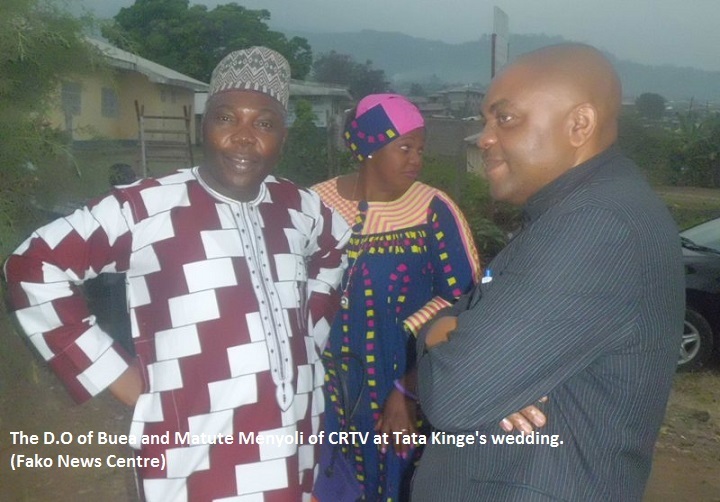 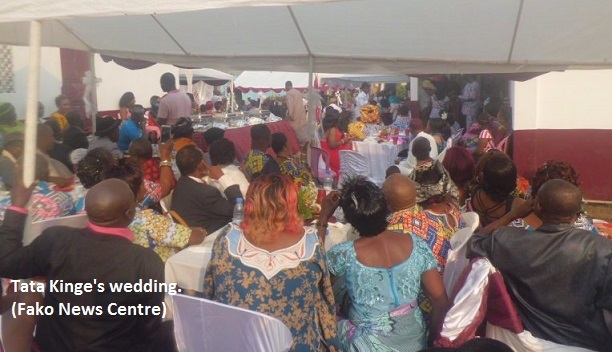 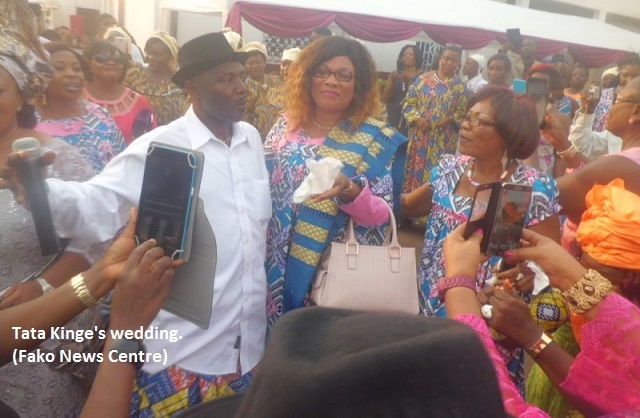 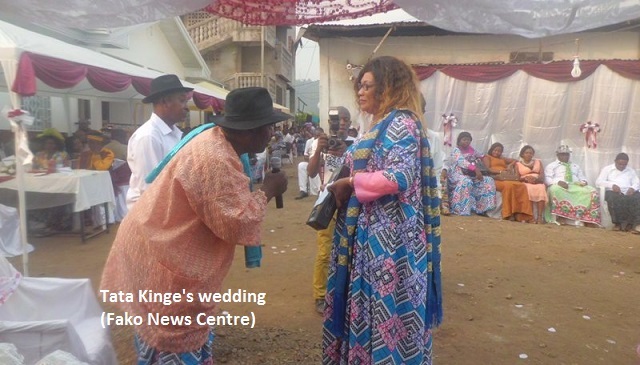 The traditional marriage ceremony that took place in Great Soppo-Buea was a crowd pulling event attended by administrative, traditional as well as religious authorities, his fans, friends, and other leading Cameroon musicians from the South West and Littoral Regions. 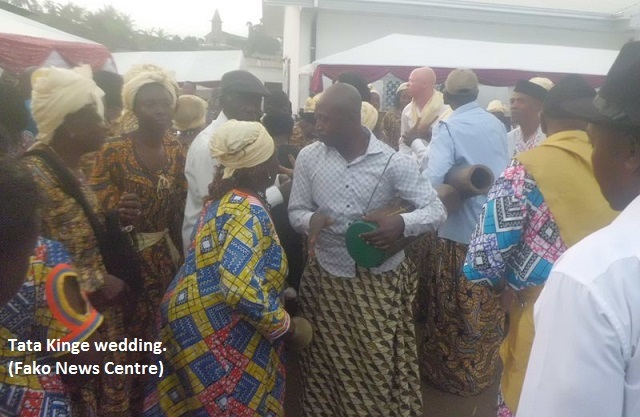 The wedding was characterised by lots of traditional activities. 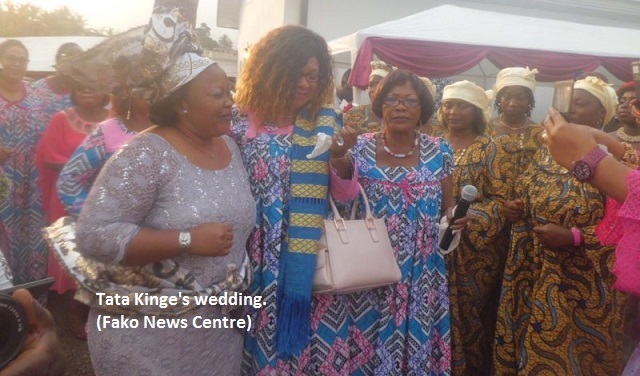 There was a display of beautiful ladies from Iya Eposi’s family for Tata Kinge’s family Head to identify the one their son is in love with and other traditional rights performed. 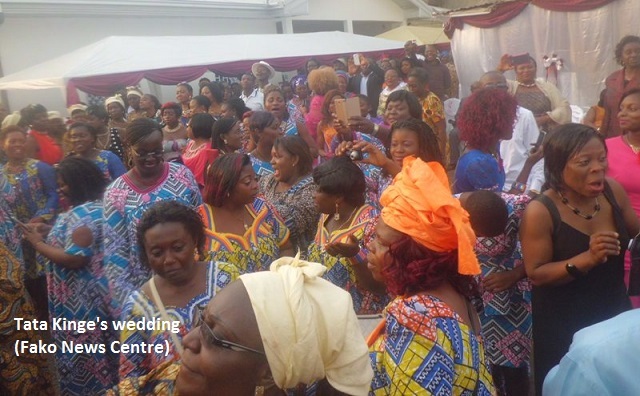 Choral groups also performed during the wedding including musicians. 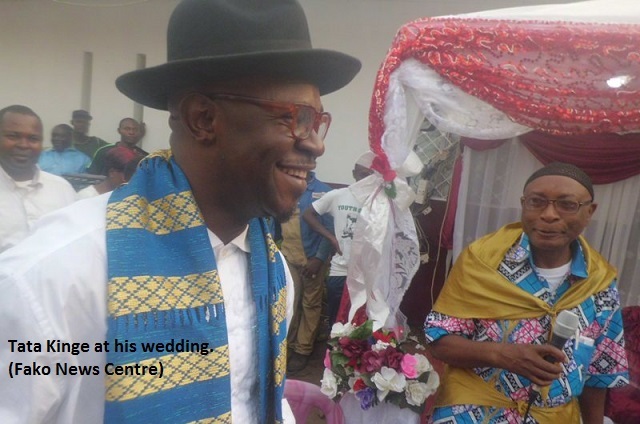 The Chief of Great Soppo from where Iya Eposi originates, H.R.H. 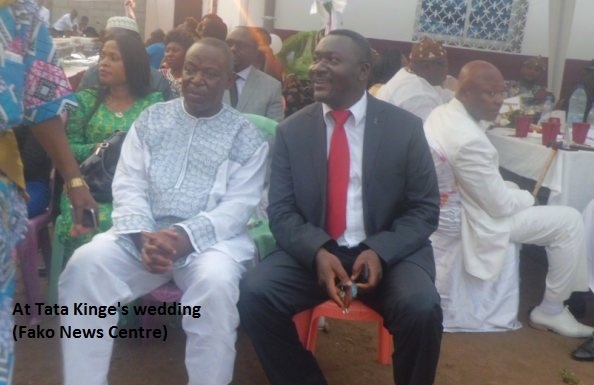 Monono, and that of Wonakanda, H.R.H. 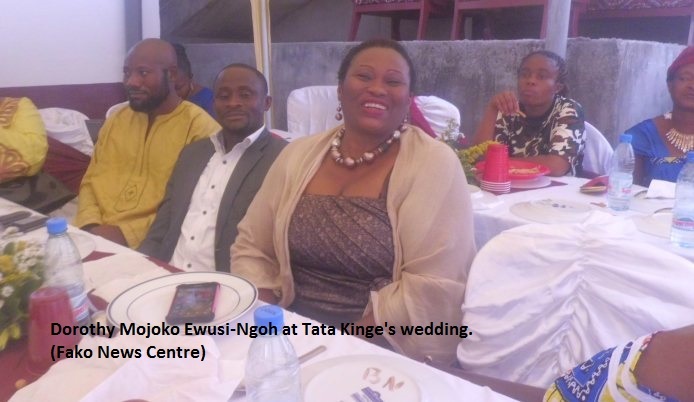 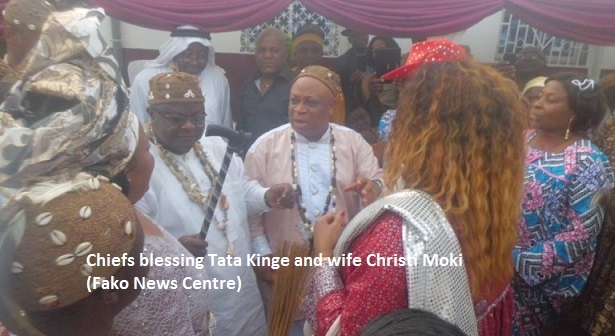 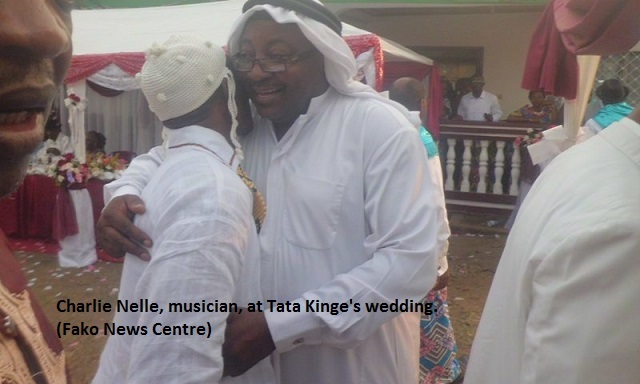 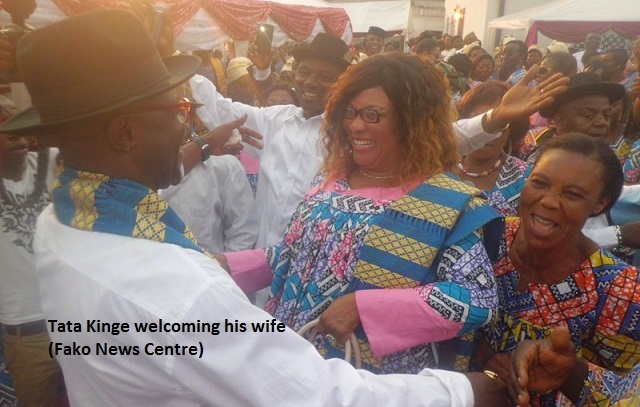 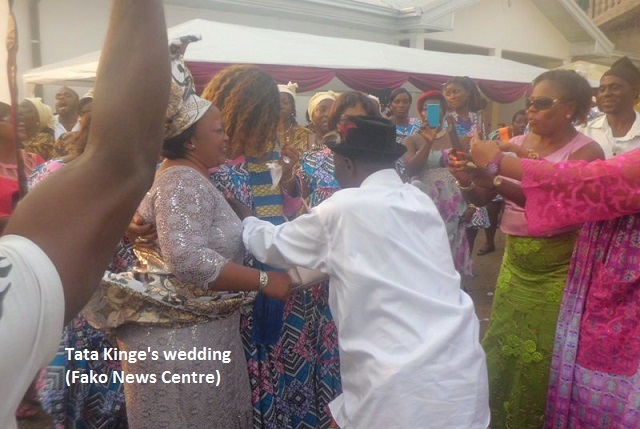 Emmanuel Ndongo, from where Tata Kinge originates, headed the team of traditional leaders who performed the traditional blessings for the couple. 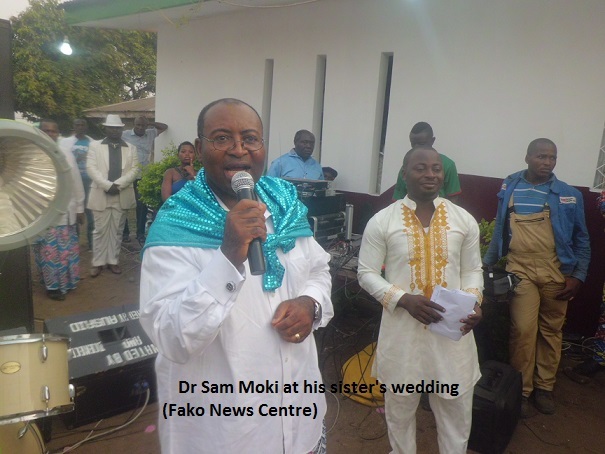 Apart from home based musicians like Andy Manyaka, Dr. Sly, Ekema Kofi (Magistrat de Petit Pays), Omoriki, Mbake Hiroshima, Soft Touch, etc who turned out to support their colleague, popular musicians from the Littoral Region like Henry Njoh, Charlie Nelle, Njohreur and others also came to throw their weight behind Tata-Kinge. 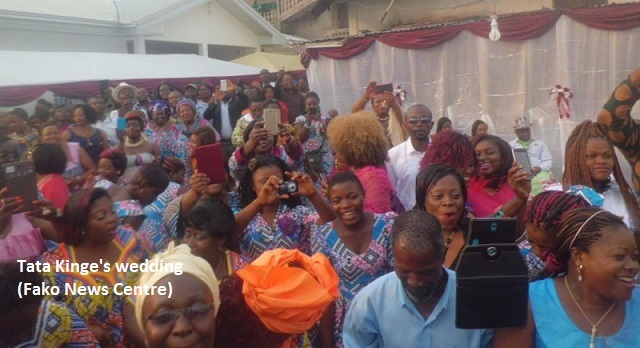 Journalists present during the ceremony also struggled to capture and relay scenes of the event to their audience through pictures and sound.